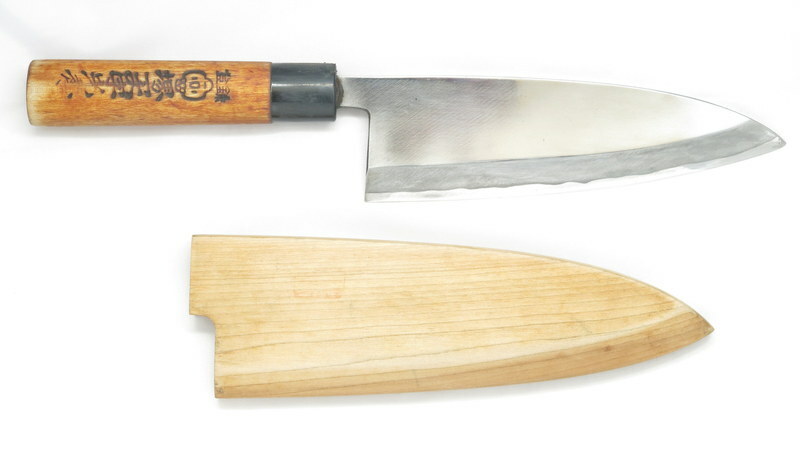 I am in the process of building a stock of excellent quality Japanese kitchen knives. 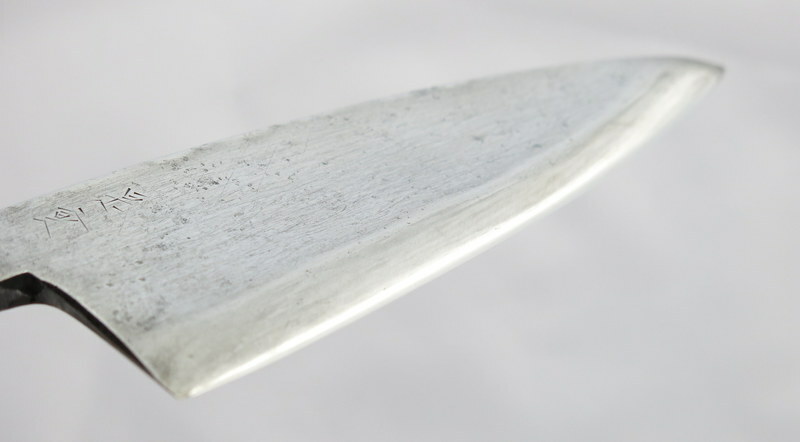 I have restored the knives in the same manner as I would do a kamisori and ultimately obtain an extremely sharp and smooth edge, which I achieve through the use of the stones. 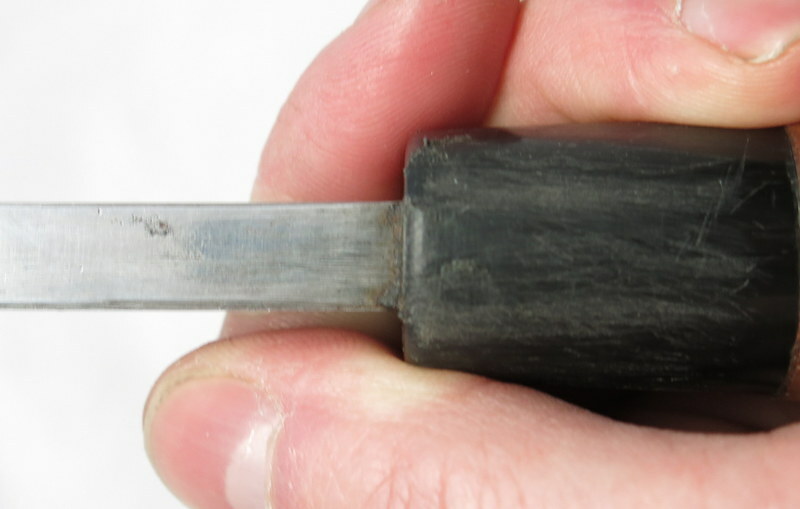 When choosing the knives I always opt for high quality, though often in need of a lot of restoration work. In my mind, these old knives are of a quality you just don't see any more. More stock will be added over the coming weeks. 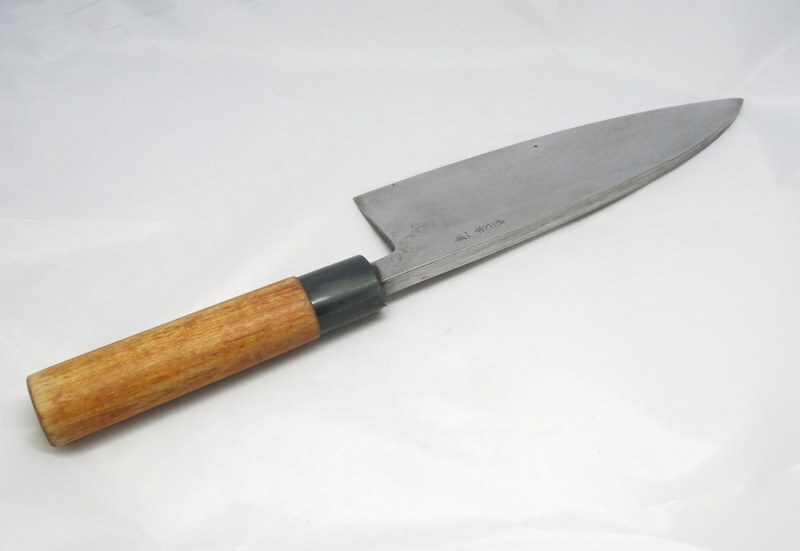 Sold: £120.00 Extremely large and heavy Deba kitchen knife. 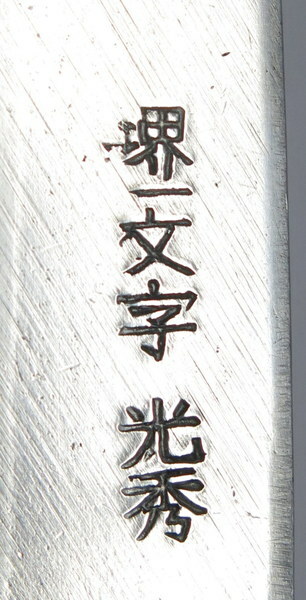 The blade ridge is 1cm thick. 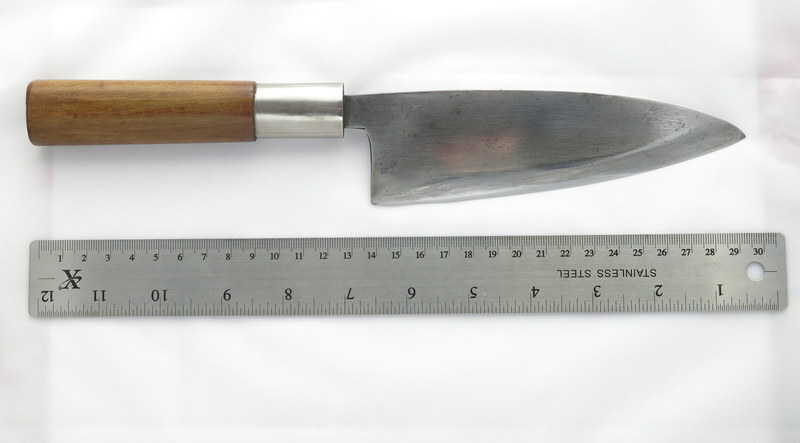 Comes with carved wooden blade cover, this really is a beautiful knife and one I have used myself. Razor sharp. £12 worldwide shipping. 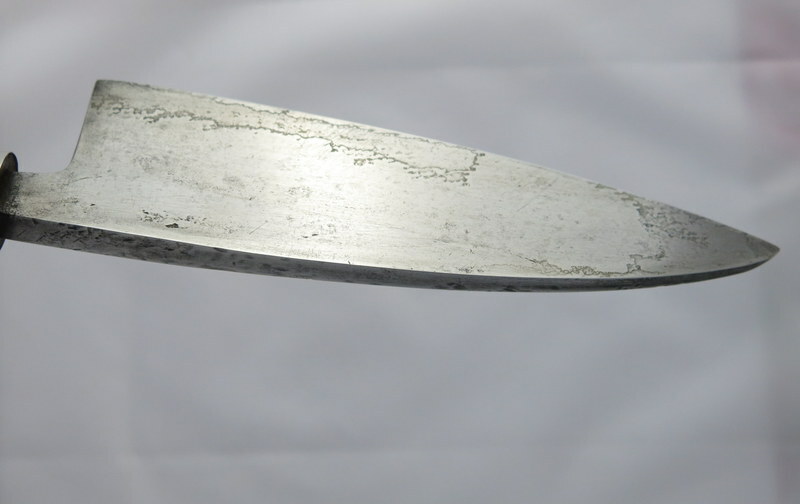 SOLD: Extremely heavy Deba kitchen knife. 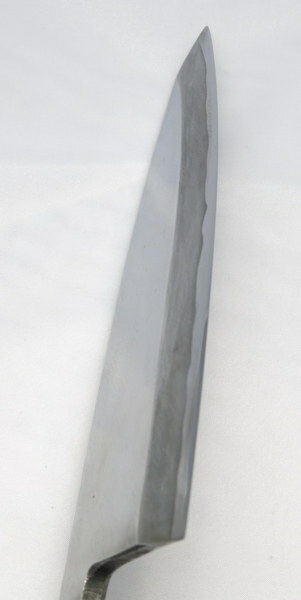 The blade ridge is 1cm thick. Extremely high quality and in excellent order. Razor sharp. £12 worldwide shipping.